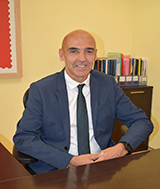 It is my privilege to say that I am the new Principal at Newton British Academy..
A little about me; I am British; born, brought up and educated in South Wales, UK. I I began my teaching career in London, England. I received my teaching degree with honours from the University of Wales. I have been a teacher and school leader for more than thirty years and I have worked extensively in the UK and all over the World. Over the years amongst my many roles, I have been a principal, headteacher, educational adviser in England and an inspector in the Middle East. I am married to my lovely wife Laura and we have two young children we are very proud of; Nia aged 7 and Isla aged 4. We are excited to be in Qatar and we are loving our time in this exciting country. I have joined a school that is going from strength to strength. This was highlighted by an excellent recent British Schools Overseas inspection where all areas of the school were judged to be Good or Outstanding. We have great students at the school and a truly international community. They are a joy to teach. We have CEOs that care about education and invest in the growth of our school. We have a knowledgeable, strong and committed leadership team at the school that work everyday to ensure the education your child receives is the best it possibly can be. We have caring and committed staff who deliver inspiring lessons. The school building, amenities and resources are excellent. We have even more potential as we grow, mature and innovate as a school over the coming years. I am passionate about the education of children. I see this profession as a vocation. I love teaching and I strive to nurture that love of learning in those I work with in my schools. I am committed to raising standards for all students whilst ensuring that the education we provide is creative, challenging and exciting. I will work tirelessly for the children entrusted to me. To be truly effective, I also believe it is crucial to engage everyone in the educational process. To this end, we are developing more and more effective communication with parents to ensure that the whole family is informed about the learning that is taking place in the classroom but also ways in which children can be supported. Working together we can really fly. In a recent meeting with staff, we talked through the elements that make a school genuinely outstanding. I feel that the British educational system, at its heart, is about striking a balance between both excellence and enjoyment. It strives for excellence and celebrates success, as stated in our school vision. It is rigorous and structured and has very high expectations of all students. In best practice, it is also enjoyable and exciting. Students are engaged in stimulating and thought-provoking activities that develop enquiry and a thirst for more knowledge. It inspires students to love learning. There is a word in the Welsh language that does not really have an English equivalent. The word is “hwyl”. It is a word that needs to be said with passion… HWYL! If you look it up in a dictionary, it is translated as “a stirring feeling of emotional motivation and energy”. I endeavour to build some hwyl into education; to instil this quality throughout the school and to make education even more passionate, engaging and exciting. Students should love every single day of their education. As a school, we at Newton British Academy aim to make this a reality.